Never Wish For More Time! 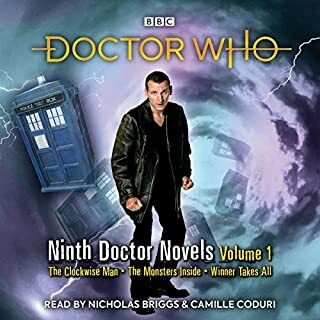 An exciting adventure for the 10th Doctor, read by Nicholas Briggs. Elvis the King Spaceport has grown into the sprawling city-state of New Memphis - an urban jungle, where organized crime is rife. But the launch of the new Terminal 13 hasn't been as smooth as expected. When the Doctor arrives, he finds the whole terminal locked down! The notorious Invisible Assassin is at work again, and the Judoon troopers sent to catch him will stop at nothing to complete their mission. With the assassin loose on the mean streets of New Memphis, the Doctor is forced into a strange alliance. 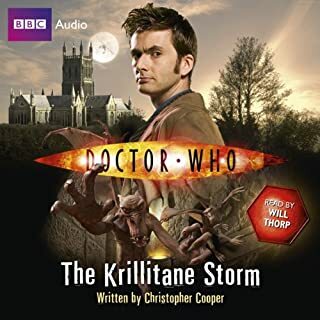 Together with teenage private-eye Nikki and a ruthless Judoon Commander, the Doctor soon discovers that things are even more complicated - and dangerous - than he first thought. 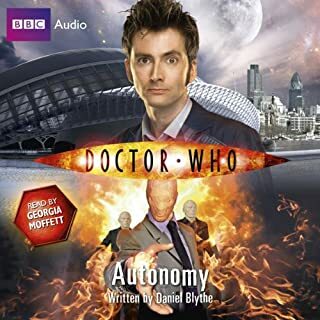 For those who know the Judoon episodes, this was thoroughly enjoyable. Nicholas Briggs does the Judoon voices on the TV shows, but is also able to totally capture the essence of David Tennant's 10th doctor. If you never liked the Judoon before, this book will show you how to love them. Well read, great character voices, excellent pacing! Nicholas Briggs is the best! Yes, it's Doctor Who meets Veronica Mars, with a Judoon thrown in for good measure, but it was fun. I like the fleshing out of the Judoon character, including the bad puns. Makes sense that they'd actually have personalities. 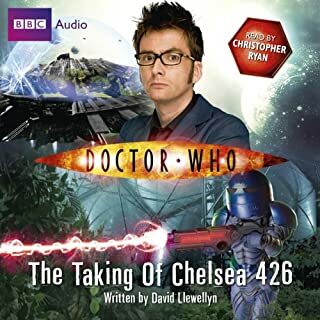 For the audio, Nicholas Briggs does a really passable David Tennant! Liked the story, not sold on the narrator. The story was very entertaining, as stories of the Doctor usually are. 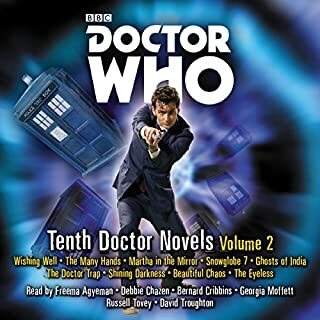 The narrator is good and would have been just fine with any other story, but he didn't quite nail the tenth Doctor and for that I lowered his performance by a star. He was better (though still not perfect) with the ninth Doctor's voice in another story. keeps you on the edge of your seat just like the show. I enjoyed the intricacies of the mystery unraveling. Nicholas Briggs does a great narration job- distinct character voices and good pacing. I found the story itself to be only okay. 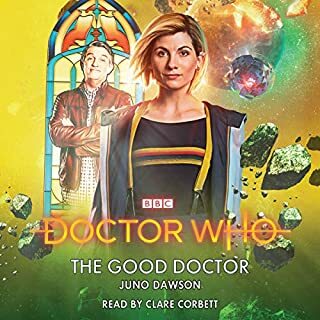 It feels a bit out of place as a Doctor Who story- like it's actually a mild detective story that's been re-themed Doctor Who. 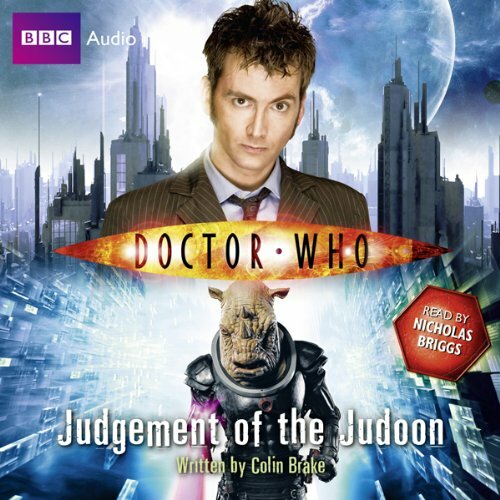 Where does Doctor Who: Judgement of the Judoon rank among all the audiobooks you’ve listened to so far? Definitely one of the best doctor who books out. It has to be the Judoon commander because of his surprising ability to laugh at himself. Yes, and, as always, it's awesome! I would love to have seen this on tv - had some great lines - like listening to a Judoon saying 'Allons-y'!